Here she is! Our beautiful cover image was photographed by Britt Chudleigh of Chudleigh Weddings. Our lovely model, Emma Jones, wears a Modern Trousseaulace dress from Alta Moda Bridal and earrings from O.C. Tanner. 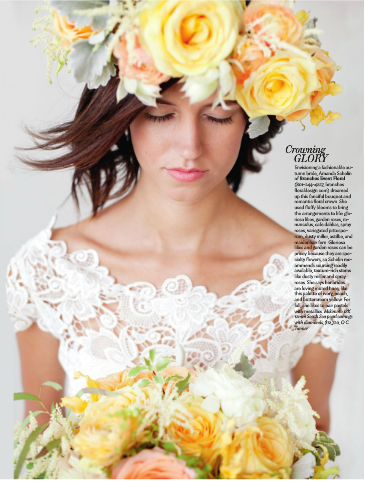 Her hair and makeup were styled by Gabby Gabbitas, and the pretty posies were designed by Roots. 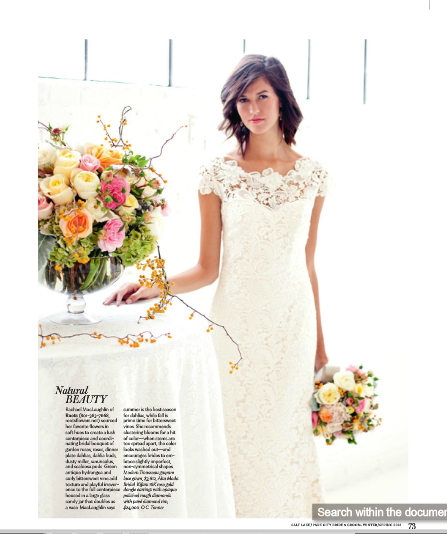 You can check out more gorgeous photos from this shoot in the pages of our new issue. 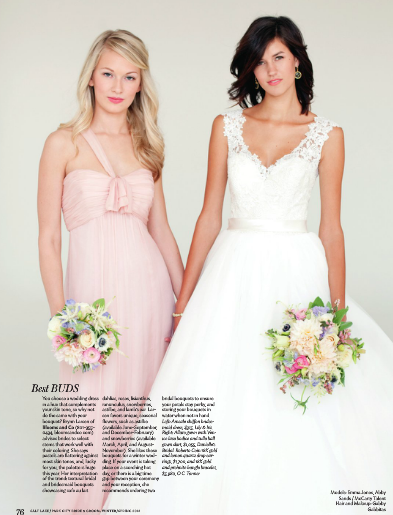 We can’t wait for you all to get your paws on a copy—click here for details on how and where to get your copy of Salt Lake/Park City Bride & Groom magazine. I wanna say thanks for posting this good information. Keep up this good work. I’ll subscribe to your blog also. thanks!